No doubt when most people hear the name National Trust, the first thing they think about is our British countryside and animals in all their glory. For years now, the National Trust has been looking after our outdoors and wildlife and we give them a salute for that. But at WhatShed, we are really interested in their line of sheds and summerhouses. They say that their sheds and summerhouses are inspired by special places and we must admit that we are very impressed with this line, as you can tell from the reviews we have done on their sheds and summerhouses. Today though, we are going to give you some tips that are not just going to ensure you get the best National Trust deal, but also save you the headache of dealing with these money saving sites who claim to have National Trust voucher codes that will save you money, but really just mess you around! As far as their sheds and summerhouses go, there are not actually all that many National Trust voucher codes or discounts floating around out there. That is why we have put together this guide to make sure that you folks get a great deal. If there is a genuine way to save money when purchasing a garden building from National Trust, then we will know about it. The best tips that 90% of people who SAVE money at National Trust use! Saving money when buying a spacious shed or a relaxing summerhouse from the National Trust is not as easy as it is with other brands. The reason for this, is the sheer amount of products that the National Trust sell. We have done our best and looked all over the web to come up with these tips that will make sure you make your hard earned money go as far as possible. There are not actually a whole lot of ways to save money when purchasing from the National Trust, but we have the major ones right here. It is worth noting that while there is a National Trust Twitter and Facebook page, they do not detail any information about their sheds and summerhouses that we could see. So we would not advise looking on there to try and save some money on your shed or summerhouse. Sign up to their newsletter and get a great saving on your first order: The first tip we have for you, does not require a National Trust voucher code or any other type of discount code. All you have to do is sign up to their newsletter and they will give you a very generous 10% off your very first order. Even if you have no interest in anything the National Trust do outside of their sheds and summerhouses, we would say it is still worth signing up for as 10% is a pretty good discount. Also, you will get to hear about any kind of special offers or National Trust deals that they have going on. They give you free delivery on orders over £50: Free delivery is something that is offered as standard by more than a few garden building retailers, but we really like how obvious National Trust make it. Many of the sites who offer various National Trust discount codes and supposed special offers will try and make you think that you can only get free delivery if you go through them. This is not the case at all and it is added to your order without you having to do anything. While they do offer free delivery on items that cost over £50, they do state that on some of their larger items there may be a delivery charge, so be sure to keep an eye on that. A round-up of all the current National Trust voucher codes we found online. As a garden building retailer, National Trust are very interesting. They make more high end products and while the prices on these may seem a bit much to some, the materials used and the design process involved, means that there is not as much profit in these as you would think. That is why there is not too many National Trust voucher codes out there or even just general deals when it comes to their garden buildings. The sheer amount of products they sell as well makes finding a specific deal on one of their summerhouses or sheds a bit on the tricky side. When you find a National Trust sale, most of the time it will be full of things like jam, oven gloves and books, and not their sheds and summerhouses. Just below, are the main sites that claim to have National Trust voucher codes and other deals. These are the ones that will always pop up when you do a Google search looking for a way to save money. We made sure to use the most common search terms, which are: National Trust Voucher Codes, National Trust Coupon code, National Trust Current Discounts, National Trust Current Voucher Codes and National Trust Sale. We even tried putting shed, sheds, summerhouse and summerhouses in front of these to see if that would get as more garden specific codes, but it did not. Watch Out For Random Items! As we said before, many times when you find a site offering National Trust current discounts, it will be for pretty much anything other than a shed. So while it may look impressive, when you come across a site that has over 20 different National Trust deals, before you spend the time looking through them all it is worth remembering that there is next to no chance that any of those supposed deals will save you money on a shed or a summerhouse. What They Claim? Here you are getting the latest National Trust voucher codes, deals and discounts. Well that is what they claim. They do actually give you quite a bit of background about National Trust, but it is just a very generic description. They do say that their current codes are not just current, but bang up to date with whatever month it just so happens to be. What We Found? There are not actually a whole lot of National Trust deals listed here that you have to look through. Still though, this is a site that really is going to waste your time. As we said before, there is just a ton of different pies that National Trust have their fingers in. And the National Trust coupon codes and deals that are here show this. 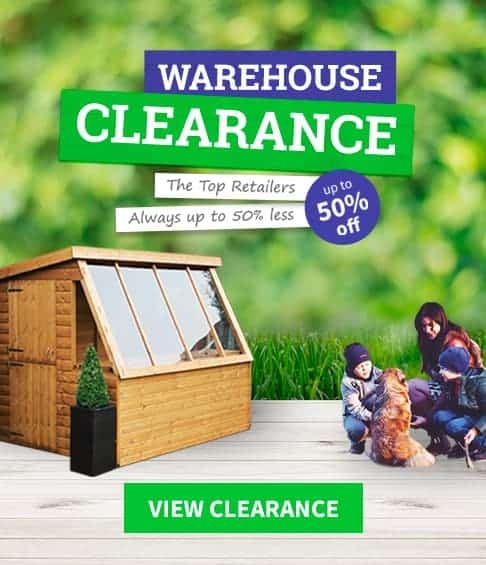 None of the deals that are listed here are for any of their garden products, so checking out this site will be a waste of your time and not result in you getting a shed or summerhouse any cheaper than its listed price. What They Claim? HotUKDeals.com are a site that like to claim they have current National Trust discount codes and deals. They do a pretty good job in making you feel like they have the best of the best when it comes to deals involving National Trust. What We Found? We knew as soon as we saw that they had 67 different National trust deals that most of these would be for things other than sheds and summerhouses. But we really did not expect to see so many old and expired codes and deals. They have 67 different deals listed on this site, but over 60 of these are expired! They have two pages dedicated to National Trust and none of the offers on them are going to save you any money at all on a shed or a summerhouse. This is the kind of site that can easily waste ten minutes or more of your time before you realise that there are no actual deals to save you money here. What They Claim? We had a really good look around VoucherCodes.co.uk as they claim they have current National Trust voucher codes. We are writing this guide in March and they actually say that the deals they have are for this current month. What We Found? Okay, so none of the National Trust deals and offers that they have here are for sheds or summerhouses. But we thought we would click on them anyway to test their links. They did actually take us to where they were supposed to, but as we said, there was no deal for a summerhouse or shed waiting there. Honestly, this is just a waste of your time and will not help you out at all. What They Claim? As well as having a very long description of what the National Trust do, VoucherCloud also claim to have current National Trust coupon codes, deals vouchers and pretty much anything in between that will supposedly save you money when dealing with National Trust. They also make the bold claim that they have other retailers and brands that may be for you, due to your interest in the National Trust. What We Found? First thing, none of their current deals are for anything to do with your garden, let alone for a new shed or summerhouse. What really annoys us, though, is the way that they have far too many links to other brands and retailers. Most of these could not have anything less to do with garden buildings or what the National Trust offer in general. With so many links on one page, it makes this a really hard site to have a look around as it is just far too busy for its own good. What They Claim? PromotionalCodes.org are a site who really do not claim a whole lot. Once you get past their long introduction and get to their National Trust voucher codes section, you will notice that at the very least they are trying to stay current and have deals that are actually happening now. What We Found? While they do not have any kind of deals or offers for the gorgeous National Trust sheds or summerhouses, we did see a code for 10% off when you spend over a pound. We tried this on one of the summerhouses being sold by National Trust, but the National Trust requires you to sign up before you can use a code. We tried the code, but could not get it to work! UKPromoPro.com – They say old codes might still work! What They Claim? Here they are claiming that their current National Trust voucher codes section has deals and offers that are actually taking place right now. We did actually notice a few of these are valid, so it does appear at first glance that they are trying to make sure they have the current offers listed here. What We Found? While none of the offers they have listed are for sheds or summerhouses, they do have the one that will save you money when you sign up for their newsletter. But this is a deal you can get direct from National Trust, so why waste your time coming here? The worst thing by far about UKPromoPro.com, is not just that they have a section full of old and expired codes, it is that they say these might still work! We feel very sorry the people who get duped by this and try out all these old and expired codes only to save no money. What They Claim? VoucherCodesPro.com are probably one of the least offensive sites we have on this list. They do not brag or show off in any way, they just have a list of National Trust deals that they claim are all current for the month that it is. What We Found? We had a really good look on this site and we can tell you that while they do have current National Trust discount codes and deals, none of them are for garden buildings. So while this is not the worst site we have ever seen, we have to say that coming here would be a huge waste of your time as it is not going to save you a single penny on that great looking shed or summerhouse that you have your eye on. What They Claim? VoucherSlug.co.uk are one of the very few money saving sites that we have seen who claim to update their National Trust deals on a daily basis. Now to be fair, this could actually be true, but the kind of deals that they have listed here are more about getting a membership with the National Trust than anything else. What We Found? We found a decent amount of National Trust voucher codes that will save you some money on your annual membership or on some of their tasty jam, but there was nothing about sheds or summerhouses listed on here. Also, they have a section that is dedicated to older deals which are expired. Some of these expired quite some time ago, but that does not stop VoucherSlug.co.uk from suggesting that there is a chance they may still work! We really do not like this, as it just gets people’s hopes up and wastes their time. What They Claim? On this site, they let you know that their National Trust voucher codes and discounts are free! We really hate to think that there is someone out there who has been scammed by one of these sites into actually paying for some vouchers. They claim that their National Trust deals are current, which is something that most of the sites on this list seem to do. What We Found? For a site that prides itself on having current deals, there are only two active ones listed here. While these have nothing to do with garden buildings, they are the same deals you get on the National Trust homepage. Most of this site is made up of old National Trust discount codes and offers. We really wish they would delete these old deals rather than leaving them on there to make their offering of codes look more impressive. If you want to get the best deal on a National Trust shed, then this site is certainly not offering that. What They Claim? When it comes to their National Trust deals and offers, Fyvor are not actually making any big claims. They just sort of have them all listed there for you to browse through. What they do, do though, is suggest all these other things that you may be interested in, most of which have no relation to sheds, summerhouses or even the National Trust as a charity! What We Found? Fyvor, to be fair to them, have one of the largest selections of National Trust voucher codes. While none of the ones they have listed were for sheds, they at least do have deals for things other than a National Trust membership like many other sites do. Still, coming to Fyvor in the hopes of getting a National Trust deal that is amazing, will see you very disappointed. As we said, when it comes to their sheds and summerhouses, National Trust discount codes are not something that are often available. So even with their impressive selection, coming here is a waste of your precious time. Looking through all the offers that Fyvor have will not save you any money on that summerhouse or shed you want.